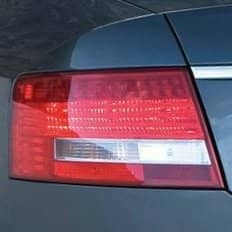 With these taillights the turn signal appears red when in active and blinks orange when activated for added safety as they do in the rest of the world. Adds a unique touch and measure of safety to your A6 or S6. Different taillights apply to certain model years, inquire for details.